What is a Meta Description and How to Write SEO Meta Descriptions? A Seo meta description is a snippet of 150-320 character long that summarises the content of a webpage or a website. Found underneath the title tag and HTML it describes in brief about the webpage. 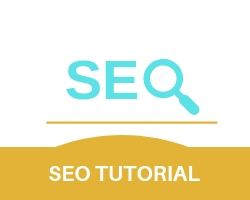 An SEO meta description works as an advertisement for the webpage, where the user immediately knows that the website/webpage has the information he needs. SEO meta descriptions help search engines find and rank the webpage faster and higher on an S.E.R.P. How to Write Good Meta Descriptions OR SEO META DESCRIPTION ? Keyword Usage – Stuffing your description with keywords is not good, so keep your most important keyword at the start because it gives weight to the topic. Readability – By keeping the meta description simple, the user quickly and easily understands the context of the website. Interesting – Meta descriptions are also a small advertisement for the webpage, so by keeping it interesting, you can generate a high click rate on the link. Length – Meta descriptions are around 150-320 characters long, by keeping it under that limit the search engine can’t cut it.